Commanders Act delivered on its commitment to help speed up Havas Voyages’ tag implementations and, in the process, saved it money by empowering its marketing team to do the job that’s normally done by its outsourced technical service providers. Havas Voyages – a global leader in business travel management – is headquartered in Paris, France, and has 350 franchised agencies throughout the country. It works with 1,200 travel agents, and has partnerships with 300,000 hotels, 8,000 resorts, and 200 airlines. 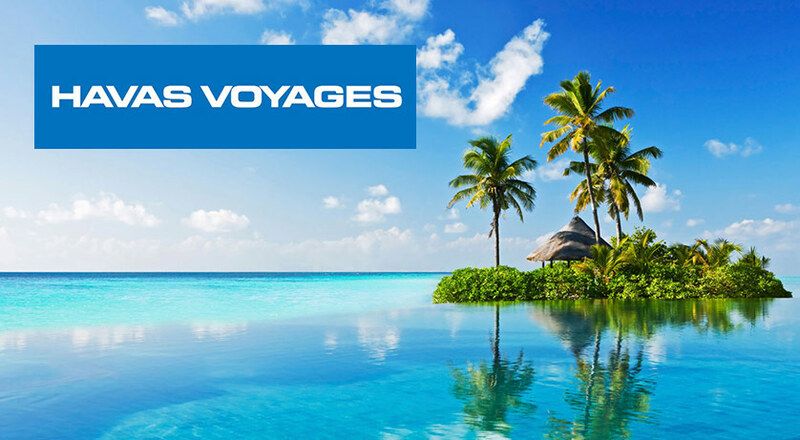 Havas Voyages also operates the website havas-voyages.fr, which lets consumers research and purchase their travel packages online, over the phone or in an agency. A major burden for the Havas Voyages marketing team was its inability to quickly test and adopt new marketing technologies such as retargeting and remarketing tools. This was because requests to add, edit and remove 3rd party vendor tags were completed by external technical service providers. This was something Havas Voyages desperately wanted to change. From a tagging standpoint, changes to 3rd party vendor tags needed to be communicated across three different technical service providers, which was slow, costly and time consuming. For example, since Havas Voyages’ tags were manually hard coded on its pages, a small tag modification request could take up to three days to complete, and more complex tasks like adding several different tags on multiple pages could take three months or longer to finish. The primary reason for the delay in integrating tags was because these requests were typically added to pre-scheduled product release cycles. In addition, the technical service providers did not always understand the business needs for tags, which often resulted in them being implemented incorrectly, or worse, interfering with the functionality of the website. This happened regardless of the countless meetings to discuss tags, and resulted in a loss of productivity for everyone involved. Leverage the Commanders Act platform to quickly fulfill tagging needs with minimal technical support. In the face of stiff competition in the online travel sector, waiting days or months for the installation of tags to test and adopt new marketing products was no longer an option for Havas Voyages. Upon learning of Commanders Act and its efficiencies, the company decided to try it. Havas Voyages added Commanders Act JS tag to its pages and created a data layer with help from Commanders Act Customer Success Consultants. This data layer helps ensure Havas Voyages’ tags don’t break in the event it makes wholesale changes to its website. It also enables the company to create cookies for conditional tag firing for specific retargeting solutions. As a result of implementing the Commanders Act solution, Havas Voyages’ marketing team is now more productive and agile. What’s more, the time it takes to add, edit and remove tags has decreased by 80%, and it is finally able to quickly test and adopt new marketing solutions. “The complexity and slowness of manually implementing needed solutions highlighted the necessity for a solution like Commanders Act. We’ve been using it for 2+ years and are impressed by its knowledgeable and reliable consulting and support teams.